Labor and delivery nurses play an essential role in ensuring healthy, satisfying birth and breastfeeding initiation. 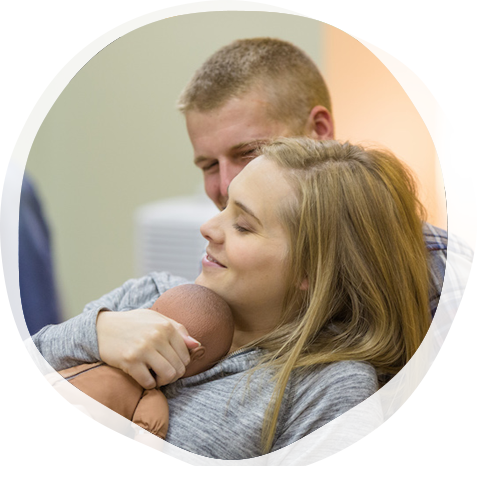 The Lamaze Evidence-Based Labor Support for Nurses Workshop educates labor and delivery nurses to create the bridge between knowledge and practice! Your organization can license and deliver this one-day workshop designed to help labor and delivery nurses, nurse managers, midwives, and staff nurses examine the evidence for labor support, develop and/or refresh labor support skills, and promote best practices for safe, satisfying, and healthy birth. Strategies for implementing evidence-based labor support measures within their practices. Increased knowledge of the role they play in improving Joint Commission Perinatal Care Core Measures relating to elective delivery, Cesarean birth, exclusive breastmilk feeding, and consumer satisfaction. This program has been planned by Lamaze International for 8.0 Lamaze Contact Hours and 9.6 hours of continuing nursing education credit (CABRN). To earn credit, attendees must sign-in, attend the entire workshop, and complete a post-workshop evaluation onsite. Purchase a license to teach the Evidence-Based Labor Support for Nurses Workshop.